We held a wedding consultancy meeting at Nijo Castle last weekend. We would like to thank for all the brides and grooms to-be who participated to the event on such a hot day in Summer. The beautiful garden; Light blue of the sky and vivid green of the trees are making good contrast. Beautiful “Shidare-zakura (=weeping cherry tree)” in Spring and red and yellow leaves in Autumn will add a touch of color to your wedding. The air conditioning facility has been newly installed at Koun-tei this year. The guest couples appreciated the comfort of the spacious room. 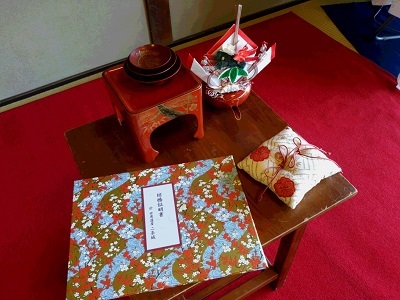 A special project to celebrate the 150-years anniversary of “Taisei Houkan (=return of the political power to the emperor)” will be held at Nijo Castle next year and many people are interested in it. The experience of getting married at this historic Nijo castle, which were often visited by many “Daimyo (=Japanese feudal lord)” in “Edo” period, will surely be your memory for life. 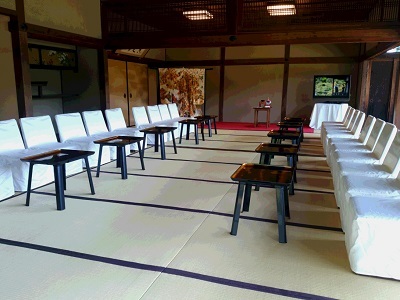 Our next wedding consultancy meeting at Nijo Castle is scheduled on September 19th (Mon./public holiday). 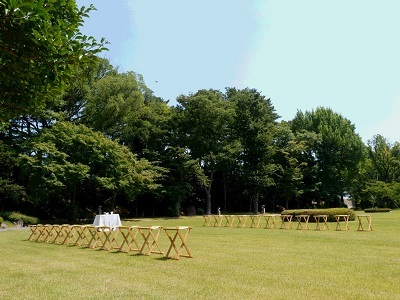 Please come and join the event if you are interested in Nijo Castle wedding.